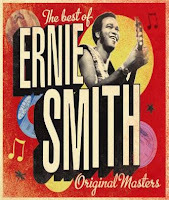 'The Best of Ernie Smith Original Masters' released July 13 on VP/17 North Parade. Glenroy ‘Ernie’ Smith is a national hero in Jamaica. His constant presence on radio and stage during the 1960s and 70s placed this folk influenced, pop singer and songwriter at the top of the national charts and above the rising tide of reggae music and Jamaica’s other musical hero – Bob Marley. While Glenroy Anthony Smith is similar in many respects to the wealth of talent that has come and gone through the walls of countless Kingston recording studios, he is a distinctly enduring entity in Jamaican music. His songs, sung with the trademark baritone that can be compared to Lou Rawls, still play frequently on Jamaican radio. His name still draws smiles of recognition and familiarity when mentioned to any Jamaican. The combination of Federal Records, the island's most advanced recording facility and Ernie Smith, it's most popular recording artist, placed these productions at the top of the Jamaican music industry during the era and earned international acclaim for many. Ernie Smith wrote hits for himself and others, including Johnny Nash’s “Tears On My Pillow” which, appears here with its original title I Can’t Take It. 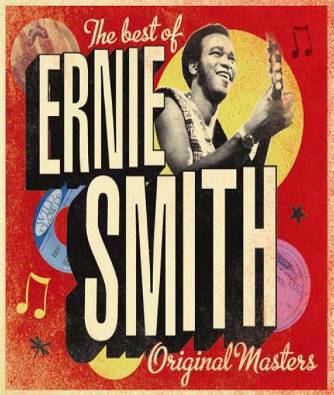 This is the first re-mastered ‘hits’ CD compiled from the original Federal Records tapes and features some of Ernie’s best loved hits including Pitta Patta and Duppy Gunman, among others. The album also includes covers of Kris Kristofferson’s Sunday Morning Coming Down and Bread’s I Love You To Want Me. Plus the Johnny Nash and Bob Marley penned You Poured Sugar On Me. Get to know Jamaica’s unsung musical hero Ernie Smith! Recommended!